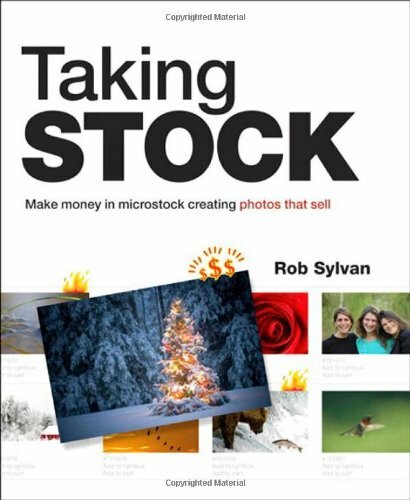 Shooting stock photos then selling them online is one of the many ways in which a freelance photographer can make money from his or her craft. However, majority of those who give stock photography a try fail miserably. Why? It's often because they were focusing more on quantity than quality. There are already millions of stock images online. And these millions will be your competitors if you do decide to take the plunge into stock photography. Taking as many snapshots as you can, throwing them into the mix then hoping that they will sell is not a very effective marketing strategy. They will probably sell eventually but not on a level wherein you can earn a substantial amount from them. What you should do is work smarter not harder. Take less photos but make them as excellent as you possibly can. Place quality over quantity. This is the rule you should always live by. To jump start your stock photography career, take note of these tips on taking high quality stock images. 1) Suitability. Stock photography is similar to blogging. Majority of bloggers who became successful were those who focused their blogging activities on a specific market and topic or on what is termed by the blogging community as a niche. Let's say you want to start a blog. By niche blogging, you will only write blog posts around a single topic. If you are blogging about sports, then stick on sports. If you're blogging about fashion, then stay away from writing blog posts on sports. Same with stock photography. Shoot only those photos that are suitable to your target market and niche. One advantage of focusing on a niche is that as you build your portfolio on that niche, you become more adept to the subject. As you progress, the quality of your photos also evolves and levels up. 2) Keep designers in mind when shooting your stock images. Let's face it, majority of the buyers of stock photos are designers. So do your homework and research on the types and themes of photos that are mostly needed by them. You can do this by visiting stock photo websites and browsing over the images that are being bought and downloaded the most. 3) Make sure that every stock image you take has a well-defined subject. You should be able to clearly answer the question: “What is the image about?”. Is it about business, human interaction, emotions, beauty, peace, nature, religion, etc.? 4) De-clutter your stock photos. This means getting unnecessary objects out of your photos. This is why it's very important that you should have a subject in mind before you go shooting. You should have an idea on what the final image must look like. This way you know what should or should not be present on the photo. This also allows you to finish projects at a much quicker pace. The most important stock photography tip of all. And last but not the least, don't make the mistake of equating complication with quality. Just because an image looks very complicated and beautiful doesn't mean it will make a good stock photo. Put substance over form. Think of the designers who are looking for images. What do they need? What are they looking for? More often than not, high quality stock photos to them mean neat, clean, well-defined, simple and uncluttered images. If you give them these, you'll be off to a good start.